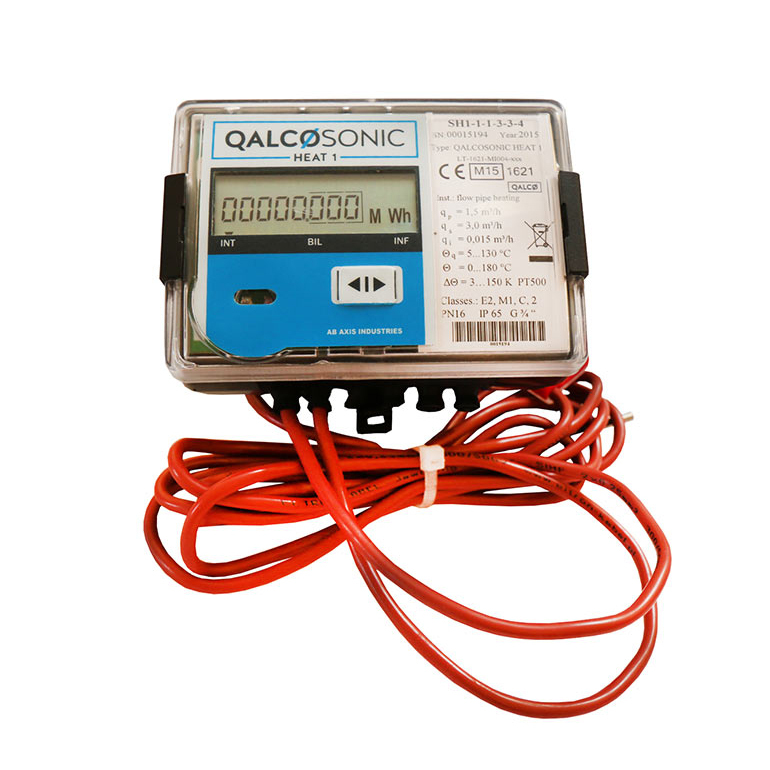 Introducing the Axis Industries Qalcosonic range of ultrasonic heat meters and cooling meters. The Qalcosonic Heat 1 and 2 are MID Class 2 Approved for Domestic Renewable Heat Incentive (RHI) and billing purposes. Permitting them for use in heating, cooling and hybrid applications. Available in meter sizes from DN15 to DN50, with BSP threaded and flanged connections. Qp values range from 0.6 to 15 m3/hr, with R100 dynamic range as standard (R250 optional). The use of ultrasonic technology means the meter has no mechanical moving parts, prolonging the life of the meter and ensuring long term flow measurement accuracy. The Heat 1 and 2 cover a wide range of energy metering applications, from residential buildings to larger companies and institutions.